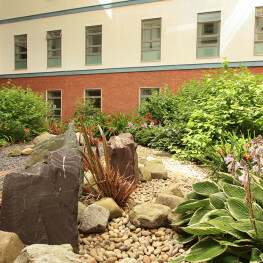 St Helens and Whiston Hospitals combined to create a large PFI project in the Northwest of England. 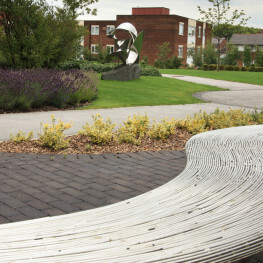 From the bid stage through to completion, our involvement spanned over 10 years. 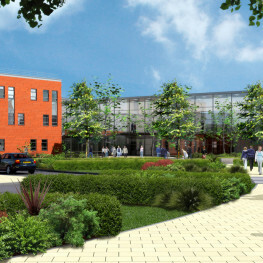 We undertook the masterplanning and detailed design for both hospitals. 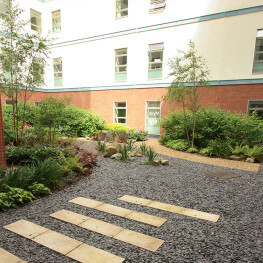 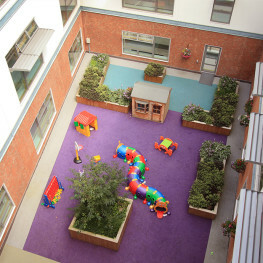 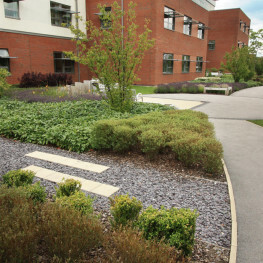 Whiston is an acute hospital with a Women and Children’s facility, a large public square at the front of the development and 12 courtyards and roof gardens. 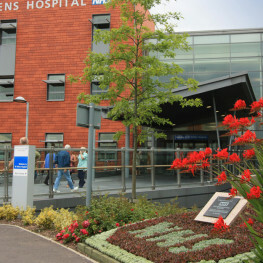 St Helens is the smaller of the two hospitals consisting of a new Diagnostic Day Unit (DDU) and existing wards. 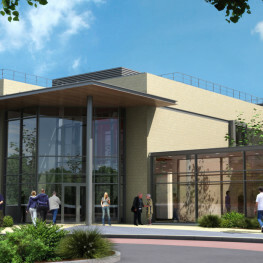 The new building is set back from the main road and so the masterplan is designed to lead the visitor to the front door of the DDU. 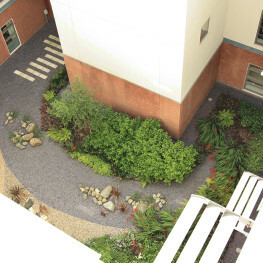 The creation of an entrance plaza and wide pedestrian tree-lined route make for easy wayfinding. 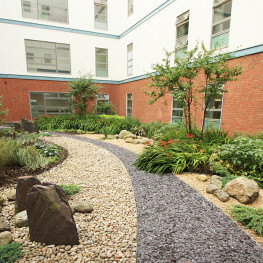 Based on the concept of the 'healing landscape', wards are centred on three large courtyard gardens each with their own unique design.